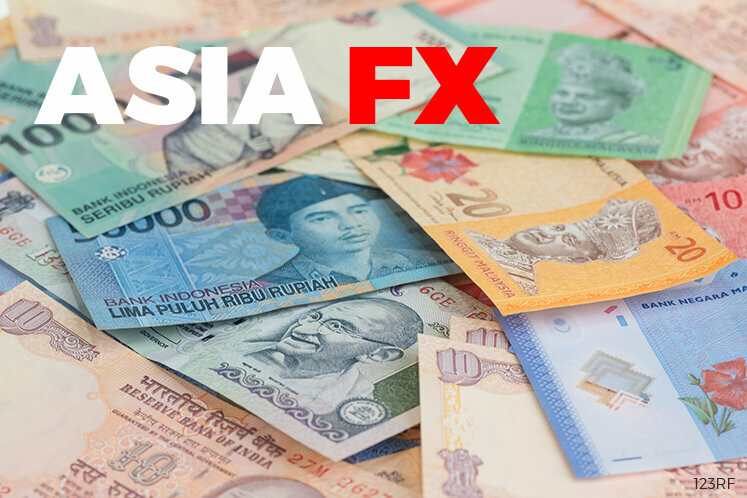 (April 12): Most Asian currencies rose on Wednesday as investor concerns eased about simmering geopolitical tensions though caution towards risky assets prevailed in the market. Currencies were also helped by an overall softening in US treasury yields. The 30-year yield touched near three-month lows on Tuesday as concerns about the upcoming French presidential elections and possible US military action against Syria and North Korea prompted safe-harbour demand. The South Korean won crept into green after six straight sessions of losses on optimism that the geopolitical crisis won't snowball. "They need to have elections by May 10, and a sense of political stability coming in means the won is a latent buying opportunity if geopolitics doesn't blow out," said Vishnu Varathan, a senior economist with Mizuho Bank. "The markets therefore won't go aggressively short on this, because you do have some optimistic opportunists out there." The Thai baht and the Singapore dollar got a lift from the yen's continued rally over the past three sessions on the back of safe-haven buying. The Chinese yuan, however, was about 0.1% lower at 6.898 against the US dollar. Data released earlier in the day showed China's producer price inflation in March cooled for the first time in seven months as iron ore and coal prices tumbled. Analysts, however, say they believe a bigger risk stems from Chinese authorities struggling to manage banking sector risks while they try to keep growth rate stable. China's banking regulator told banks to conduct "self-inspections" to determine whether they are using loopholes in rules to avoid reporting non-performing loans, Reuters had reported earlier citing official documents. The Indian rupee was the biggest loser, down about 0.3%, wiping out minor gains made in the previous session. The rupee is overbought and the focus has shifted to less heavily bought assets, analysts said. "I don't see anything fundamental that has actually changed within the domestic climate at all," said Stephen Innes, a senior trader for FX broker OANDA. The Monetary Authority of Singapore (MAS) would keep its exchange-rate based policy unchanged at its semiannual review due on April 13, a Reuters survey predicted. The survey also showed the government's advance estimate of first-quarter GDP, due at the same time, is expected to show that GDP shrank 1.9% from the previous three months on annualised basis. The Singapore dollar rose for a second straight session on expectations that the MAS will assume a less dovish tone in its meeting. "'hawkishly neutral' stance may position the SGD (Singapore dollar) for more strength against its trade-basket," Mizuho Bank said in a note.